Development project proposed for Washington Ave.
Proposal reflects big changes looming ahead for Washington Avenue. Discussion about future development of Washington Avenue has gained momentum lately as developer Bart Blatstein recently introduced plans for the vacant corner of Broad and Washington Avenue. 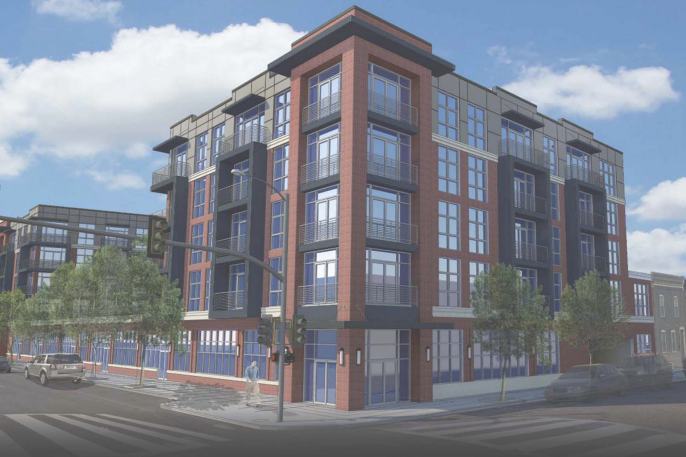 Now, a proposal has been put forth for a mixed-use development at 2401 Washington Ave. The proposal was revealed to residents attending a South of South Neighborhood Association zoning meeting this past week, the Passyunk Post reports. Architecture firm Harman Deutsch rolled out plans for a 5-story mixed use building that would include 113 residencies set above commercial space on the first floor. Of particular interest is the proposal's inclusion of a dog park, a neighborhood park and indoor parking. While the project would still be a long way off if approved, it signals continued interest in adding new housing and attractions in the neighborhood.